Table of Dmitry Mendeleev is a universal reference by which to know the necessary information about the chemical elements. 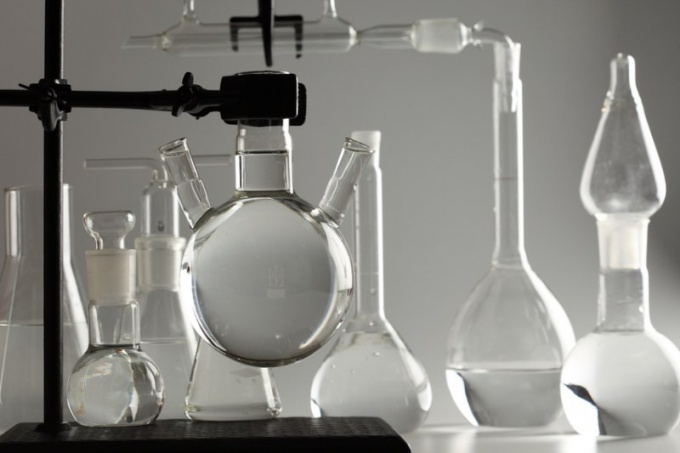 The most important thing – to know the basic principles of its "reading," that is, you need to know how to use this information material, which will serve as a great help for the solution of any tasks on chemistry. Moreover, the table is allowed on all types of control of knowledge, including even the exam. A table is a structure in which there are chemical elements in its principles and laws. That is, you can tell that a table is a multi-storey "house" in which "live" chemical elements, each of them has his own apartment at a certain number. Horizontally are the "floors" - periods which can be small and large. If the period consists of two rows (as indicated on the side of the numbering), this period is called the great. If it only has one row, it is called small. Also the table is divided into "entrances" group, of which there are eight. As in any entrance of the apartments are on the left and right, and here the chemical elements arranged according to the same principle. In this embodiment, their placement is uneven – on the one hand, more items, and then talk about the main group, the other less and this suggests that the group side. Valence is the ability of elements to form chemical bonds. There is a constant valence, which does not change and variable with a different value depending on the composition of any substance contains the item. When determining valence on the periodic table it is necessary to pay attention to the following characteristics: the number of elements and its type (i.e. main or side group). Constant valence in this case is determined by the group number main group. To know the value of variable valency, if any, is, moreover, usually non-metals), then you need 8 (total 8 groups – hence a digit) subtract the group number, which is the element. Example No. 1. 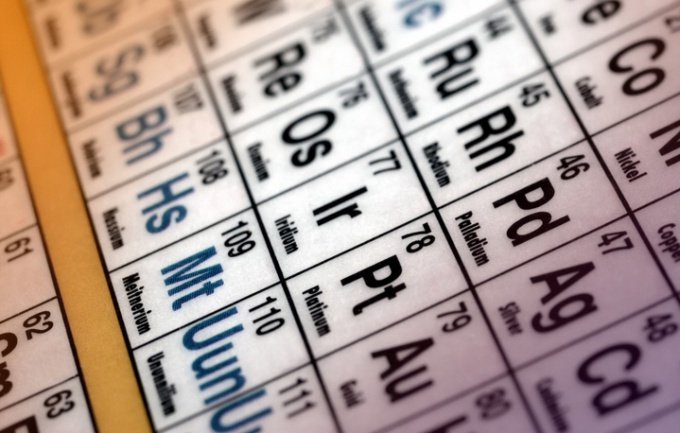 If you look at the elements of the first group main group (alkaline metals), we can conclude that they all have a valence equal to I (Li, Na, K, Rb, Cs, Fr). Example No. 2. The elements of the second group main group (alkaline earth metals), respectively, have a valence of II (Be, Mg, Ca, Sr, Ba, Ra). Example No. 3. If we talk about the nonmetals, for example, P (phosphorus) is in group V main group. Hence its valency is equal to V. in addition, the phosphorus has one more valence value, and to define it you need to do 8 - No. element. So 8 – 5 (the group number of phosphorus) = 3. Therefore, the second valence of phosphorus is equal to III. Example No. 4. Halogens are in group VII of the main group. So, their valence is equal to VII. However, given that it is a nonmetal, it is necessary to produce the arithmetic operation: 8 – 7 (no group element) = 1. Therefore, the other valence of the Halogens is equal to I. For the elements of auxiliary groups (and they include only metals) the valence need to remember, especially because in most cases it is equal to I, II, rarely III. Also have to memorize the valences of chemical elements that have more than two values. Be careful when determining metals and nonmetals. This is usually the table of this designation. Valence – the most important concept in chemistry. The physical meaning of this concept became clear through the development of the theory of the chemical bond. The valence of an atom is determined by the number of covalent bonds that it is connected with other atoms. The main role in the formation of chemical linkages valence electrons, which are least strongly associated with the nucleus. The so-called unpaired electrons located on the outer shell of the atom. It is therefore important to imagine the electronic configuration of the considered element. Electronic configuration of noble gases have the most resistance. For this reason, noble gases under normal conditions are chemically inert and do not react with other elements. Atoms of other elements tend to acquire the same stable shell with the formation of ties. So, the valence is the ability of an atom to form a certain number of covalent bonds with other atoms. It is expressed as a small integer. The number of chemical bonds – a measure of valence. To determine valence, we need to understand what is the outer electron shell of the atom how many unpaired electrons it has. In the ground and excited state of the atom the valence may be different. In most cases, the higher the valence of the element is equal to the group number in the periodic table in which the element is located. But this rule has exceptions. For example, he did not obey the elements of the second period, nitrogen, oxygen and fluorine. So, the higher the valence of phosphorus is +5. Nitrogen is in the same group, but he cannot be a valence greater 4. The outer electron shell of nitrogen has three unpaired electrons, so the compounds with hydrogen nitrogen is trivalent: thus, there is ammonia NH3. Thus between nitrogen and hydrogen may form a fourth covalent bond, but at the donor-acceptor mechanism and not at the exchange. This forms the ammonium ion, NH4+. Atoms of beryllium, boron and carbon have a variable valence. This is because electrons are able to steam within the same energy level. The energy spent on steaming electrons, more than kompensiruet energy of formation of additional bonds. C, if you look at its electronic configuration that is bivalent. But the true valence of carbon is +4. One electron from 2s orbital jumps to the 2p free-cell, and now the carbon is able to form not two, but four. Tetravalent carbon is the basis of organic chemistry.